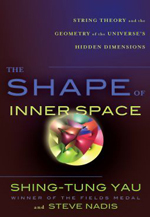 This book tells the fascinating story of strange geometric objects that have achieved some fame outside of maths and even inspired a Woody Allen joke: they're called Calabi-Yau manifolds. 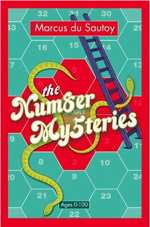 When Plus recently interviewed one of its authors he was adamant that maths should be brought to the masses without dumbing down or glossing over the tricky parts. And this is just what this books sets out to achieve. Statistics are emotive — to some they are just lies, to others perplexing, some fear their power to reduce us all to a single number, while yet others (politicians and journalists especially) like to endow them with qualities like "damning" or "deathly". So what are (or should it be "is"?) 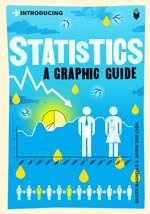 statistics all about? And what do we need to be wary of? This little comic-style book (from the Introducing series) provides some friendly answers in 176 pages and a handy A6 format. The sense of going on a journey with a brilliant and entertaining companion, of feeling like you are never sure why the conversation is veering in this new direction, yet being confident that there is a good reason for it, is the strongest sense which I got from this lovely new book by Marcus du Sautoy. 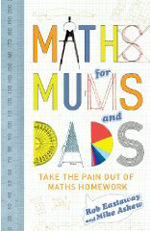 Maths for mums and dads by Rob Eastaway and Mike Askew. This book is an absolute triumph. Given the authors' reputations, I would expect nothing less, so it is something of a relief to be able to write that first sentence. 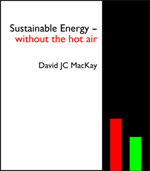 Sustainable energy - without the hot air by David MacKay A lot is written about energy efficiency and renewable energy, but do the sums add up? I am the first person to admit I don't have an artistic bone in my body. In fact I find it difficult to think visually at all, let alone imagining shapes and structures in three dimensions. 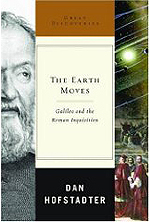 In these days of debates on climate change we're often reminded of that other great clash between science and authority, the staunch refusal by the Catholic church to accept that the Earth moves around the Sun. There has been a recent spate of books in honour of Martin Gardner, who has spent over half of his 95 years entertaining us with his recreational mathematics.